In this section I give a brief description of my main research topics. All of them have a common core: the use of computational techniques and artificial intelligence to model physical and biological systems. I’m applying different algorithms and artificial intelligence techniques to simulate and analyze biological models. Román-Román, Patricia, D. Romero, M. A. Rubio, and Francisco Torres-Ruiz. "Estimating the parameters of a Gompertz-type diffusion process by means of Simulated Annealing." Applied Mathematics and Computation 218, no. 9 (2012): 5121-5131. When working at the European Space Agency Grid Processing on Demand for Earth Observation Applications team (G-POD) I developed a system capable of monitoring an specific location on Near Real Time. My goal was to create a ‘Webcam from Space’ capable of looking anyplace on Earth. This ‘webcam from space’ was first used to observe the Wilkins ice shelf. It was under serious stress due to global warming. It finally broke up in April 2009. I spent three years working with Grid systems at the European Space Research Institute (ESA). There I developed several applications capable of monitoring diverse phenomena on a on a global scale using remote sensing data. Vomir: Our aim was to monitor a set of 300 volcanoes scattered around the globe. 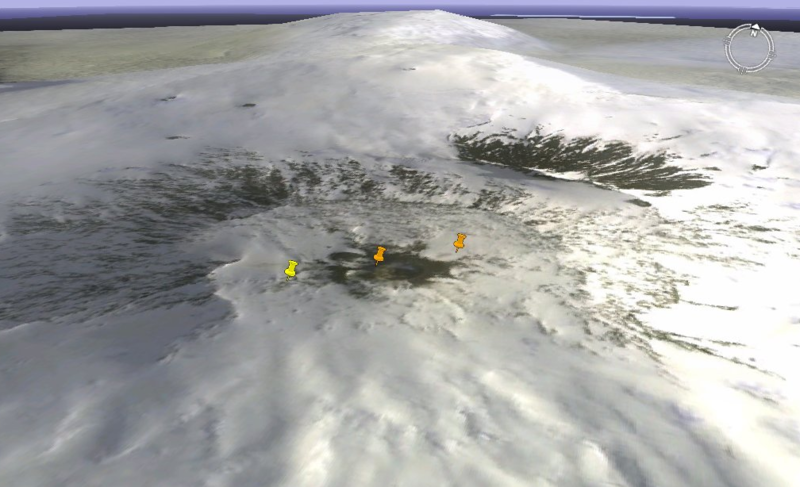 The system was able to detect eruptions using Envisat's infrared sensor. You can visit the website, but it is no longer operational because Envisat is no longer operational either. AeroMeris: Our goal was to use high performance algorithms to generate long term time series from our satellite image archives. Aeromeris was involved in the site selection for ESO's European Extremely Large Telescope (E-ELT) . Rubio, M. A., O. Colin, and E. Mathot. "Generation of long-term time series of remote sensing data using ESA's GPOD system." In EGU General Assembly Conference Abstracts, vol. 11, p. 12571. 2009. Using artificial intelligence techniques to estimate estimate biophysical parameters from remote sensing data. Trombetti, M., D. Riaño, M. A. Rubio, Y. B. Cheng, and S. L. Ustin. "Multi-temporal vegetation canopy water content retrieval and interpretation using artificial neural networks for the continental USA." Remote Sensing of Environment 112, no. 1 (2008): 203-215. Rubio, M. A., G. Lopez, J. Tovar, D. Pozo, and F. J. Batlles. "The use of satellite measurements to estimate photosynthetically active radiation." Physics and Chemistry of the Earth, Parts A/B/C 30, no. 1 (2005): 159-164.